In order to help grieving “The Walking Dead” fans, HBO decided to have the season premiere of “Game of Thrones” season treis. If only this was the actual reason, sadly, as far as I know, companies do not work together in some instances. 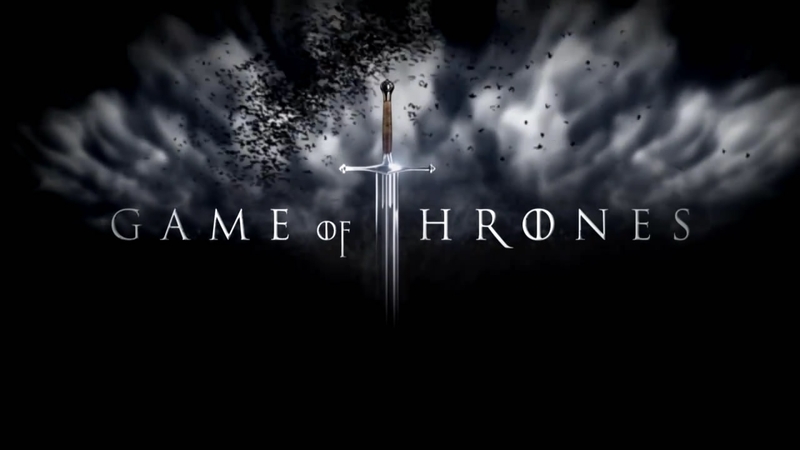 For those of you who live under a rock and don’t know what “Game of Thrones” is or think that it is simply a medieval version of musical chairs, then consider watching this show. Yes, it’s fantasy, and yes it involves swords and dragons and magic, but it is political and cunning in it’s nature. Seriously, if you love politics, you should watch this show because of how real it seems, it that regard, and because of how well it depicts all of the problems associated with fiefdoms. Seriously, being a king is also but pretty terrible at the same time. I am going to try and explain this show as best I can, but it will be difficult. It is based on the books of the same name written by George R.R. Martin and I cannot stress to you enough how richer your experience will be if you read the books first, then watch the shows. I’m really not going to try to give you a synopsis of the episode or the previous seasons, because they are much to complex to simply write out in a simple paragraph. However, I will tell you what I look forward to for this season and what I am already disappointed in. *Spoilers* Ahead! I am pumped for Beric Dondarrion, played by Richard Dormer. Seriously stoked for his character and I hope they costume him in a similar fashion to how he was depicted within the book. One of my favorite characters within the book and I cannot express how awesome it will be to see him. Also pumped for the White Walkers. We got a brief glimpse of them in the prior seasons and I really do hope we get to see them in action. Super pumped for Mance Rayder, played by Ciaran Hinds. I love his story line, love his character, and cannot wait for what he has to show us. I love the interaction he has with the Watch and I hope that Hinds can portray him, as well as I imagined him. Also super pumped, for Olenna Tyrell, played by Diana Rigg. She is a great character who can play the game of thrones better then most her age. Love what she has in store for us and hope that Rigg gives her character justice. Tyrion, played by Peter Dinklage, is back and worse for wear. I am not a fan as to how they portrayed his wound, it was supposed to be much worse, but I am a fan of how they are setting up his relationship with his father. For those of you who read the book, like myself, you and I both know what is coming and I think the show is building it up perfectly. Although he wasn’t shown in the first episode, I am pumped to see Jaime Lannister, played by Nickolaj Coster-Waldau . I love his character arch and I pray that they will portray it just right. He is a solid character whose story I love the more I think about it. Kind of disappointed that they didn’t include Strong Belwas alongside Barristan Selmy, played by Ian McElhinney. From what I remember, these two individuals were supposed to appear side by side and Selmy was supposed to be wielding a staff and Belwas was supposed to be wielding two swords. I liked his character in the book, he was equally hilarious and ferocious, but alas I guess they decided not to include him. Pumped that they are including the Reeds, Jojen, played by Thomas Sangster, and Meera, played by Ellie Kendrick. These two individuals should have been included in the last season and I’m glad they are including them now because of the relationship they have with Bran Stark, played by Issac Hempstead Wright. Also cannot wait for Arya’s, played by Maisie Williams, story. Her progression, is just so interesting and I cannot wait to see what Martin reveals for us in the end. Also, Williams does a great job embodying that character. All in all, I liked the premiere. But I also fear, that some things may be rushed and skipped over. Alas, that is often the case when a book as epic as Game of Thrones gets converted into a television show. I hope the writers include the most necessary parts and do not trim the fat on what they consider useless characters and plot devices. I liked where season 3 began and left us and will write a more thorough review once the season ends. If you haven’t watched “Game of Thrones” don’t watch it until you’ve read it. If you have read it, watch the season 3 premiere, and let me know where you think this season is headed.